Thursday, September 6: The date by which students may receive tuition refunds if dropping full semester-length courses. Short courses (condensed courses not meeting for the full term), have different add, drop and census dates and associated refund deadlines. Review those dates here. Thursday, September 6: Last day to add full semester length Main Campus courses WITH instructor permission. 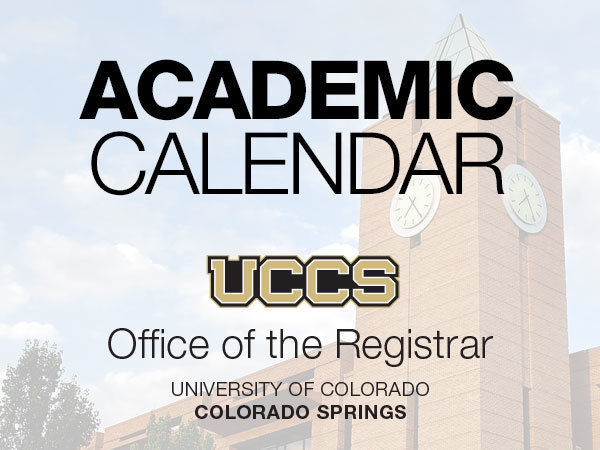 Thursday, September 6: Full semester length courses may be dropped until 11:50pm on Thursday, September 6 in your myUCCS Portal. All Course Change Forms (Add/Drop Forms) must be turned into the Office of the Registrar (Main Hall 108) by 5:00pm on Thursday, September 6. Note: Full semester length courses dropped within myUCCS Portal after Thursday, September 6 will receive an official grade of W and do not receive a refund. Note: You may drop full semester length courses in your myUCCS Portal until 11:50 p.m. Friday, October 26, 2017 and receive a grade of 'W'. No refunds given. Note: To withdraw from courses after Friday, October 26, 2018 you must obtain instructor and dean approval. Forms can be requested in the Office of the Registrar - Main Hall 108.